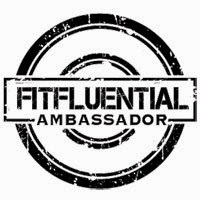 Today I found out that I was accepted to be a FitFluential Ambassador!! I am so excited, and honored to become a part of the Ambassador program! Remember never give up on your goals! !